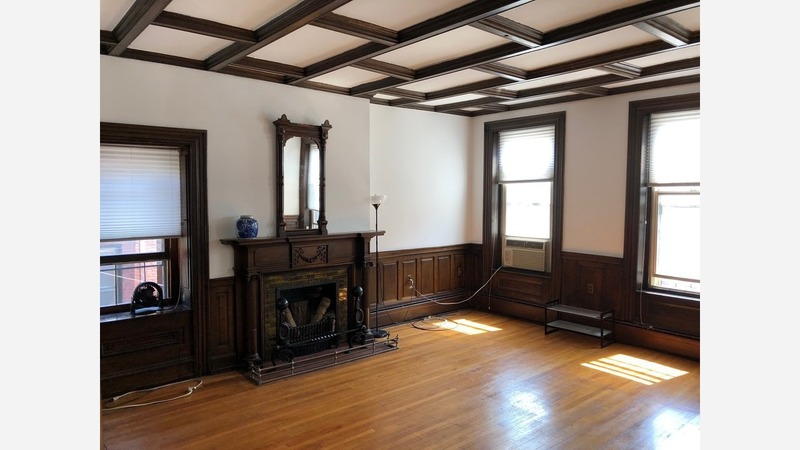 What does $1,500 rent you in Philadelphia, today? We've rounded up the latest rental offerings via rental site Zumper to get a sense of what to expect when it comes to finding a rental in Philadelphia if you don't want to spend more than $1,500/month on rent. Listed at $1,500/month, this studio is located at 2021 Locust St. When it comes to building amenities, expect on-site management, a roof deck and package service. In the unit, look for air conditioning, hardwood flooring, in-unit laundry, a balcony, a dishwasher, wooden cabinetry and stainless steel appliances. Pets are not permitted. Walk Score indicates that this location has excellent walkability, is a "biker's paradise" and is a haven for transit riders. Next, there's this one-bedroom, one-bathroom apartment over at 1902 Pine St., #3R5. It's also listed for $1,500/month for its 450 square feet of space. The unit features hardwood flooring, air conditioning, granite countertops, stainless steel appliances and wooden cabinetry. Pets are not welcome. According to Walk Score's assessment, the surrounding area has excellent walkability, is great for biking and has excellent transit. Here's a 780-square-foot one-bedroom, one-bathroom condo at 36 Strawberry St., #2636, that's going for $1,500/month. In the furnished unit, you'll get wooden cabinetry, hardwood flooring and air conditioning. Animals are not permitted. According to Walk Score, the area around this address is extremely walkable, is a "biker's paradise" and is a haven for transit riders. Next, check out this one-bedroom, one-bathroom apartment that's located at 333 S. 21st St., #2. It's listed for $1,500/month. Apartment amenities include hardwood floors, a dishwasher, in-unit laundry, a fireplace and ample natural light. When it comes to pets, both meows and barks are welcome. Walk Score indicates that the area around this address is extremely walkable, is a "biker's paradise" and is a haven for transit riders. Finally, here's a one-bedroom, one-bathroom apartment at 1845 E. Passyunk Ave., #2B, that's going for $1,500/month. In the unit, there are hardwood flooring, air conditioning, a dishwasher, in-unit laundry, floor-to-ceiling windows and stainless steel appliances. In the building, expect elevators and secured entry. Neither cats nor dogs are allowed. According to Walk Score, the surrounding area is a "walker's paradise," is quite bikeable and boasts excellent transit options.